We all love the onset of a new season, but when you're sifting through the new home collection drops, the sheer volume of products can be overwhelming. Thankfully, we pride ourselves on curation, and today we bring to you the best of the best from H&M Home, Target, and Zara Home, according to us. 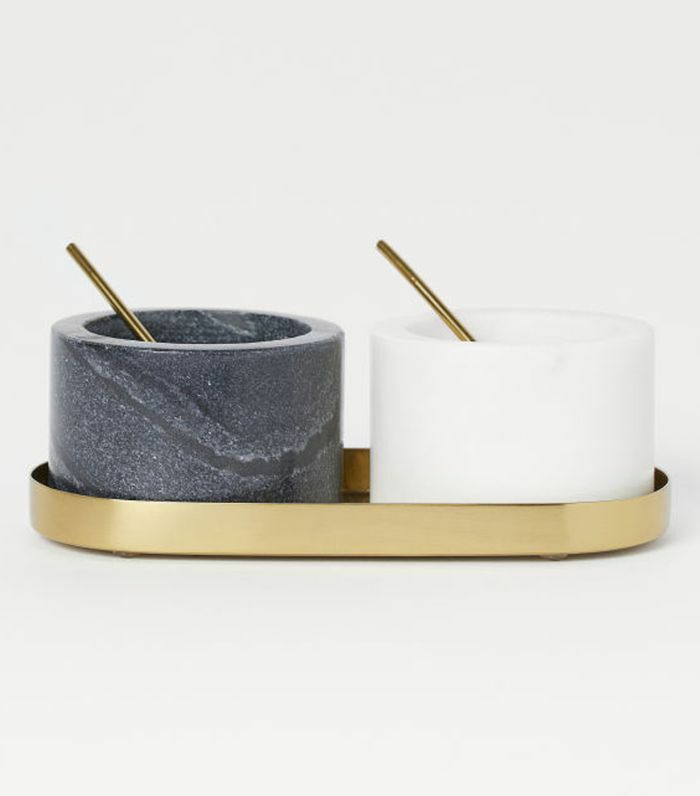 We trawled through the new arrivals on each of these websites to hand-select 40 of the best home décor pieces from candle holders to side tables, tablecloths and throw pillows. And if you're unsure where to put your new item or what to do with it, we also provided a few simple styling tips for each along the way. Consider it our complimentary add-on at checkout. If you do end up purchasing something, please tag us when you share it on social with #InMyDomaine so we can see it too. Scroll through our 40 home décor favorites and happy shopping. 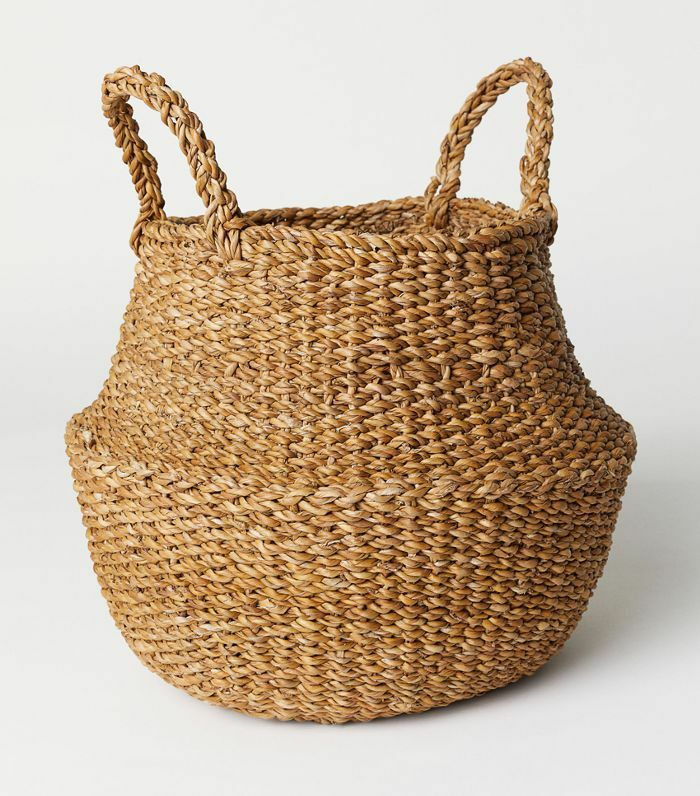 Chic woven baskets are hands down our favorite way to store items. From the kids room to the laundry room, there are countless ways to use these, and you'd never know from the outside what it's hiding on the inside. It's time to celebrate the holiday season and the end of another year. 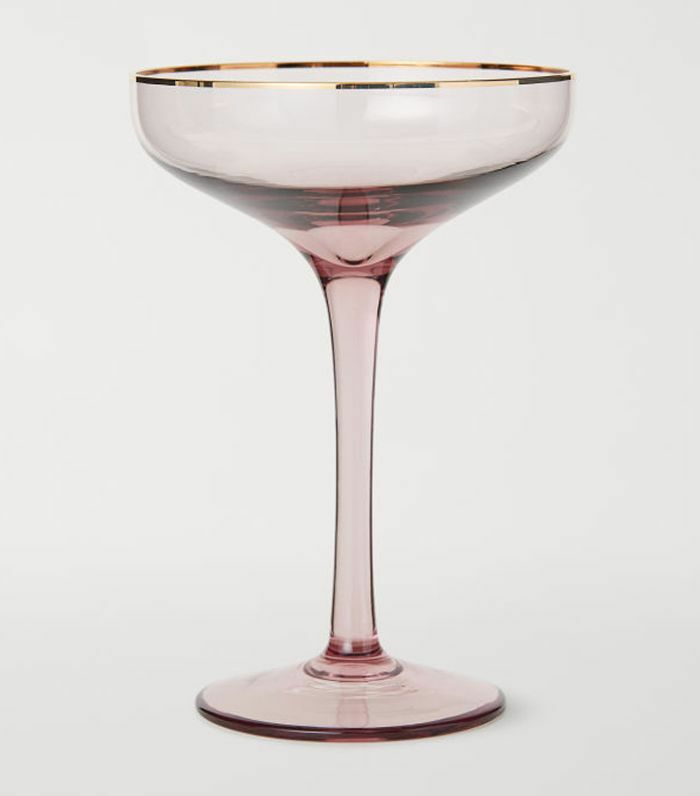 Say cheers with your friends and family using these gorgeous pink champagne glasses. They're so pretty you can put them on display if you have open shelving or cabinets with glass. If you didn't know already, sepia is fall's hottest color trend—all the fashion girls are wearing it too. 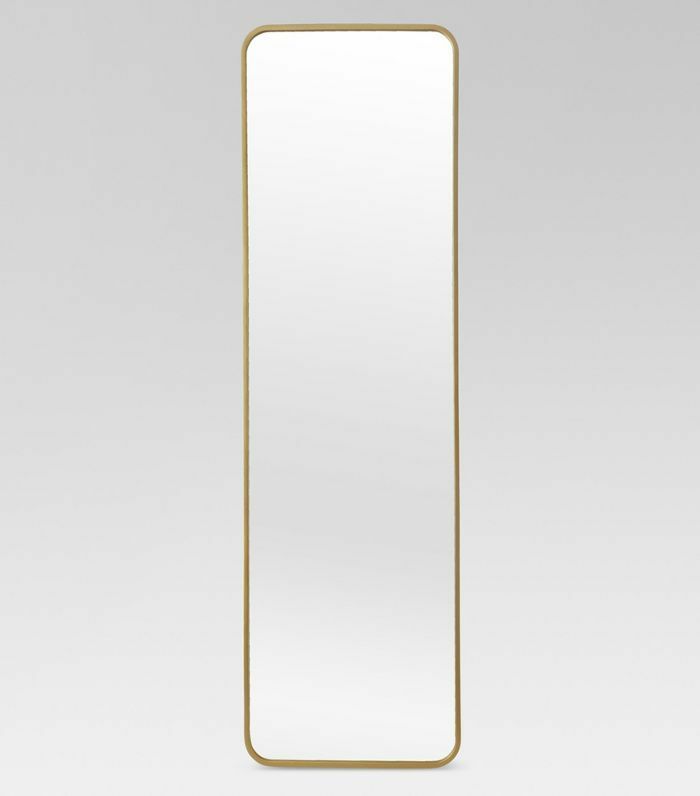 But rather than make a major investment, why not add a hint of the It hue with a decorative accessory or home essential. You've never seen a chicer fruit bowl than this. So the millennial pink craze has died down a little, but that doesn't mean you have to stop loving it. 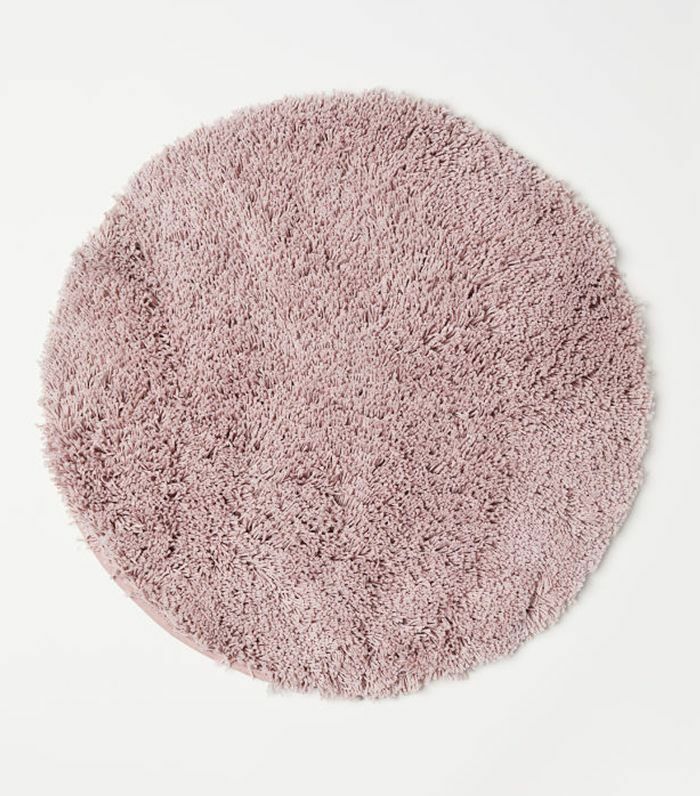 This bath mat is just the right level of pink, slightly muted without being too garish, in fact, we'd go so far as to call it a neutral. It really does go with everything, and we love the round shape. If you're tired of the plastic grinders wearing out or worried they're also grinding plastic into your food, then pour salt and pepper into these stone bowls instead. You'll never have to take them off the table because they double as décor. This is so pretty you could hang it up as wall art. The best part is it's only $35 so you can afford to buy two—one for cutting and one for hanging. 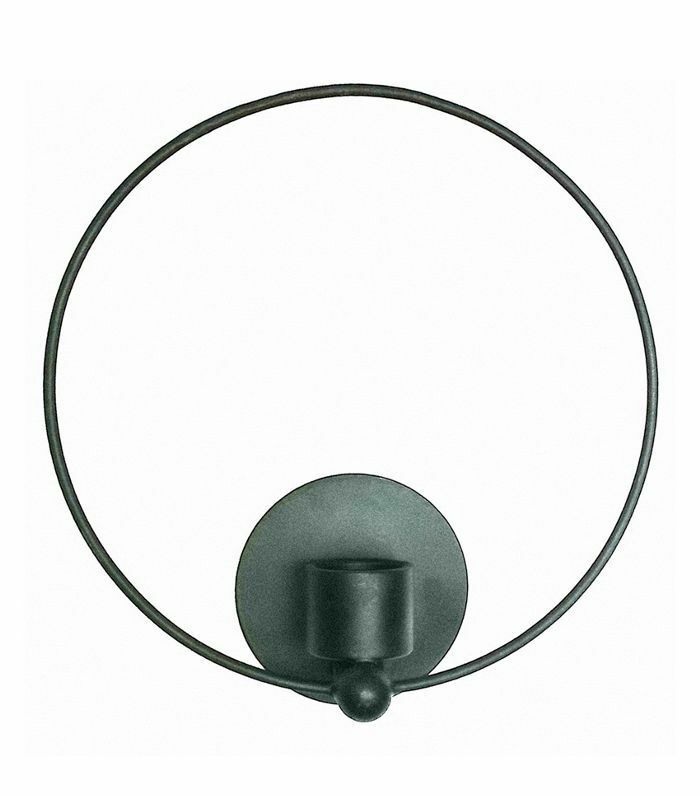 The circular shape is having a moment. We've been seeing a ton of throw pillows in this round style, and we're not complaining. This one is also in that sepia trend we told you about earlier. Mix it in with your other neutrals or colors on the sofa because this tone goes with everything. It also doubles as the perfect floor cushion when you have extra guests that need seats. We're forever on the hunt for the perfect laundry bag that doesn't look like dirty laundry. 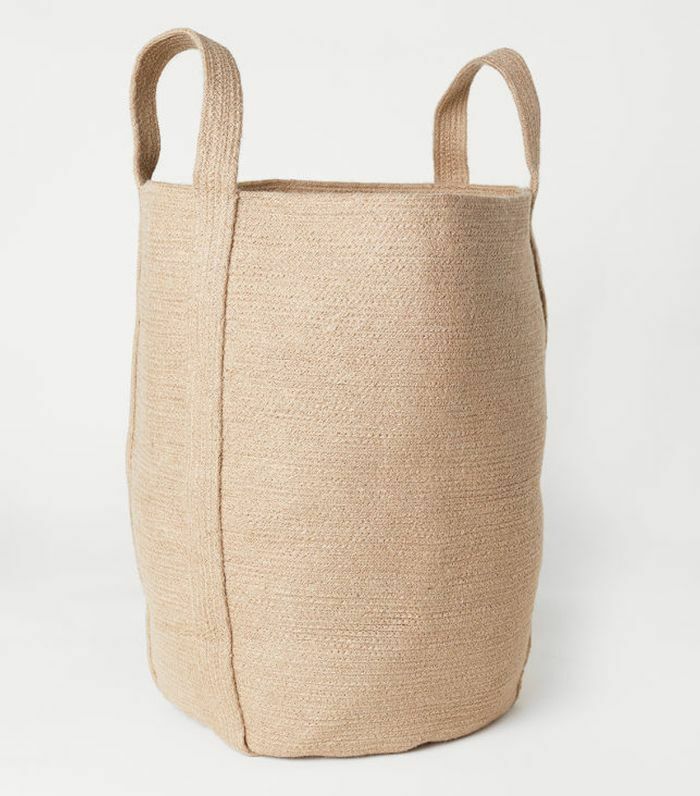 This jute version is impeccably chic and comes complete with handles for easy transportation to and from the laundry room. No one will even suspect its real use. Now that the weather is a little cooler and darker earlier, candles are our go-to. It sets the tone of the house. We also love placing them all over the house for mood lighting because everyone looks good by candlelight. 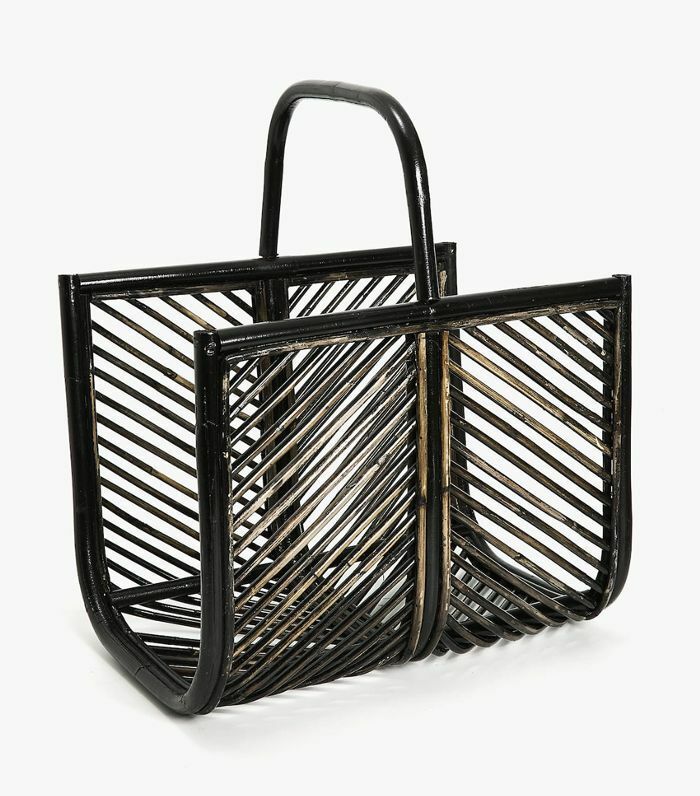 If you have a countertop that is always filling up with papers, pens, and mail, then it's high time you bought this stylish basket to store them in. You won't look back. You can never have too many spoons or cutlery in general. 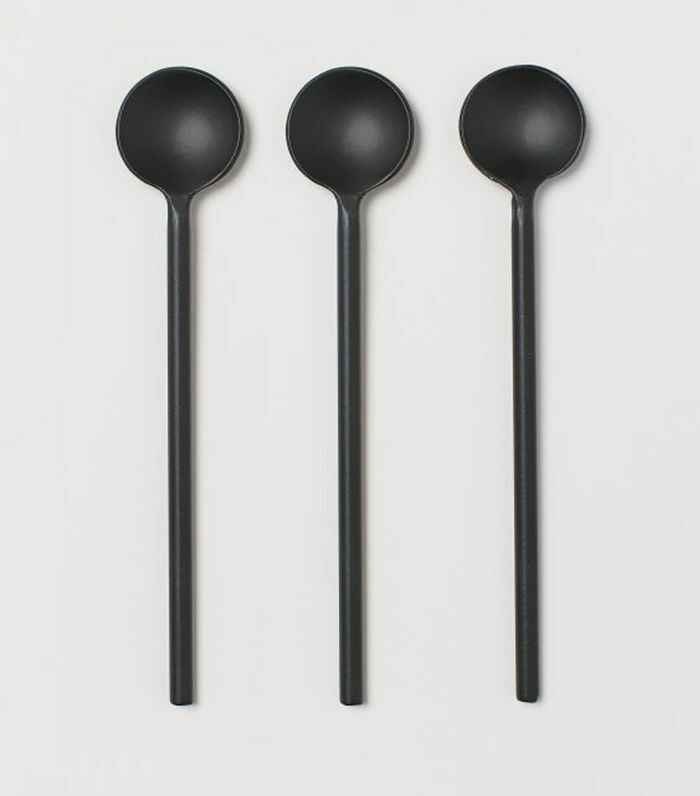 In our house, the spoons always go missing, and I'm constantly buying more. Thankfully these are inexpensive but look luxe. 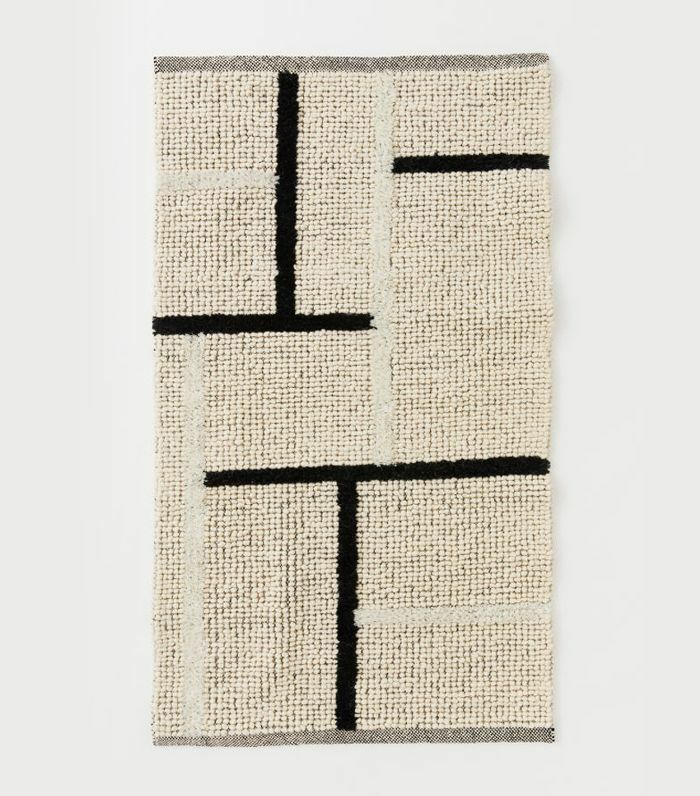 When I discovered this beautiful wool blend rug, I had to rub my eyes at seeing the small price. This is such a cool style for $60 and would look great at the front door. What a way to welcome guests. Everyone should have a mortar and pestle in the kitchen, it's so handy. But if it's going to be on display, then it needs to look the part. 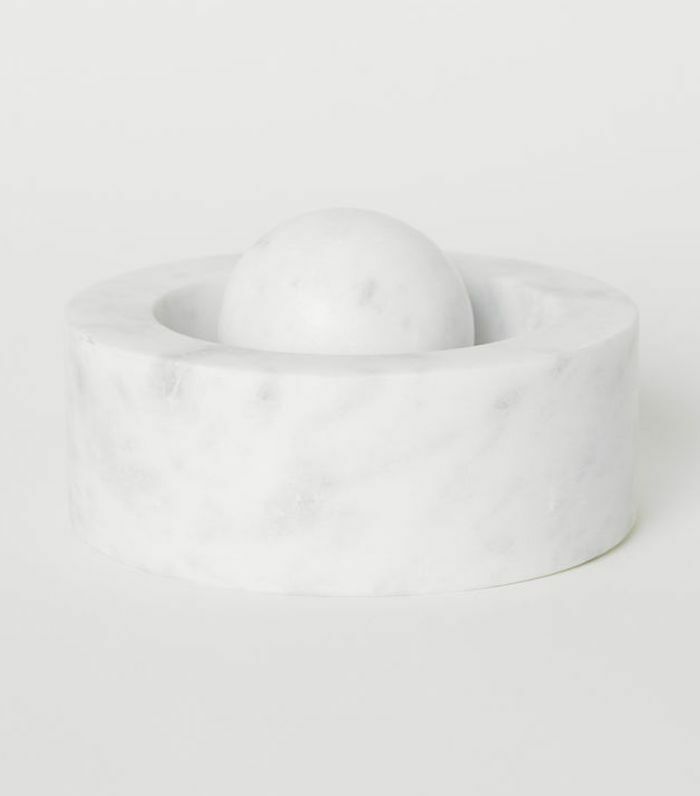 This marble version is equal parts pretty and practical. You can always count on Project 62 for cool, contemporary lighting at a price that can't be beaten. 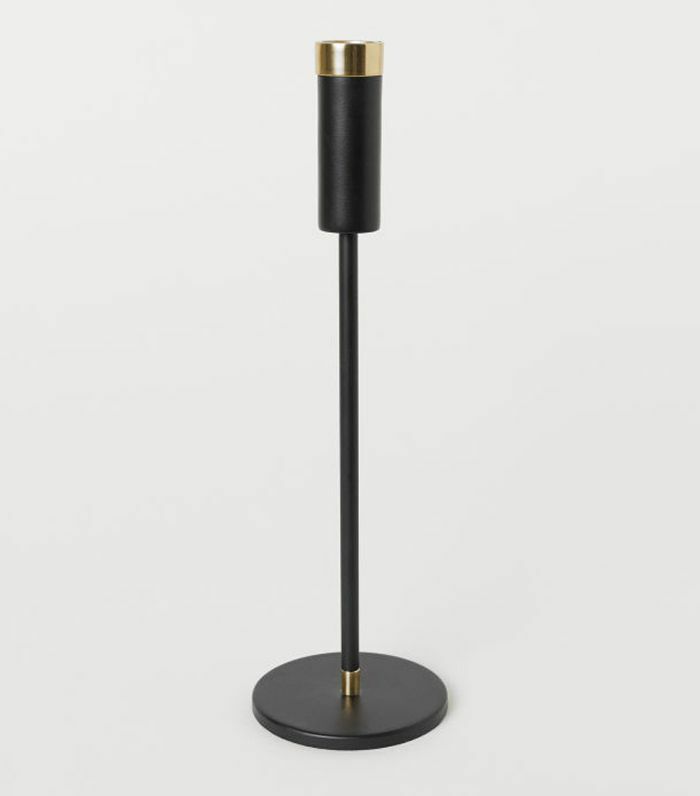 This would look great in a home office or as a task lamp on your nightstand for reading before bed. We already mentioned our love of candles, especially at this time of year, so we literally gasped at seeing this wall sculpture candle sconce. At $13, we simply can't refuse. It would look great by the entryway or as a feature in a reading nook. 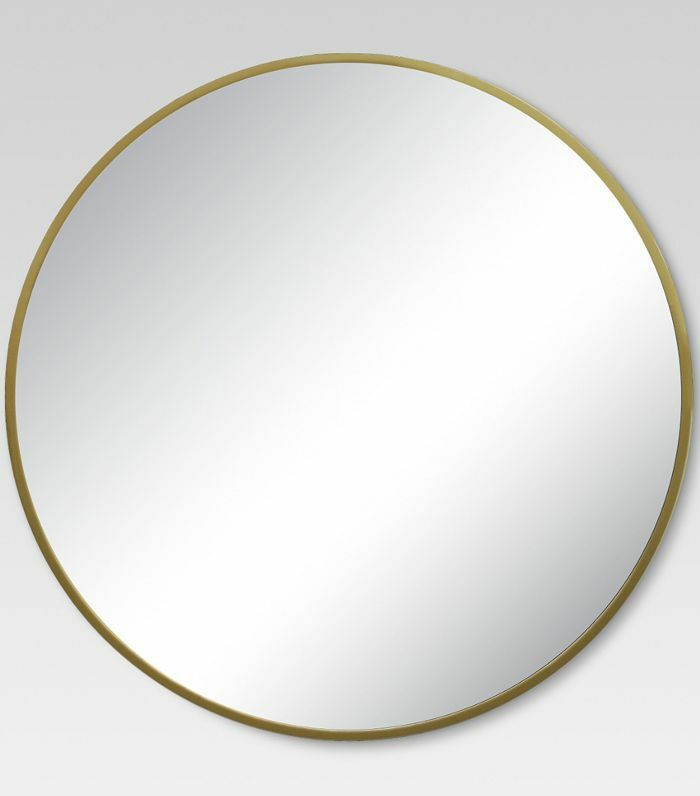 We've preached about our love of round mirrors before—this one has a cult following—they make every room look bigger. It opens up a tight entryway, narrow room, and a small dining living room—my apartment is proof. 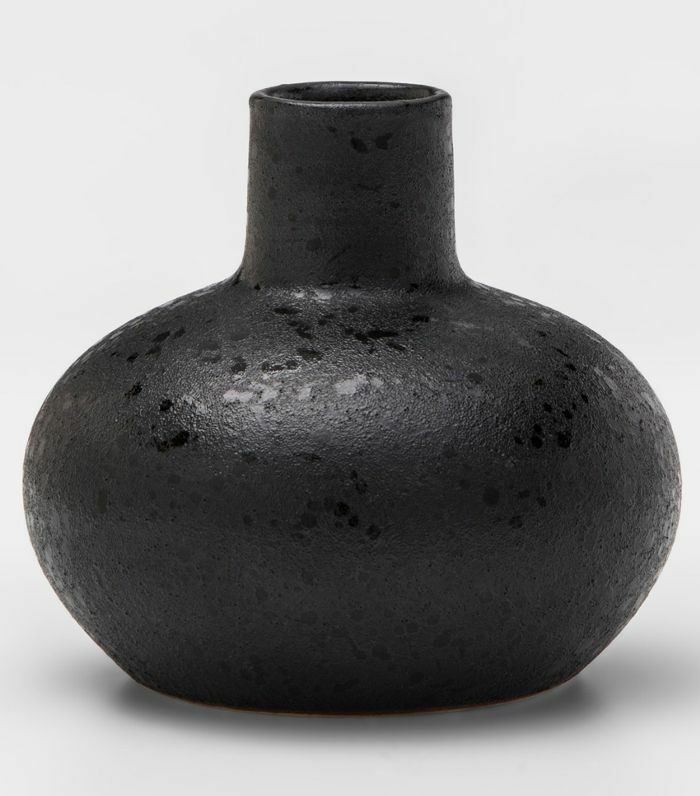 There is no resisting this striking black vase at just $5. It looks handmade with a patina that will only add much-needed texture to any space you place it. I love it for the dining table or coffee table with fresh green stems from the garden. 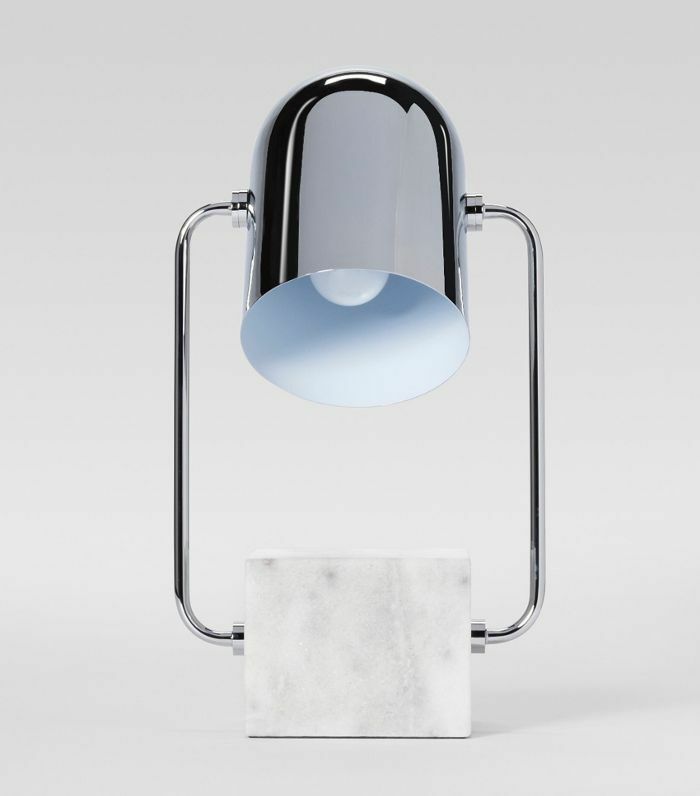 This Art Deco–inspired lamp is the perfect complement to any side table, home office, or reading corner. 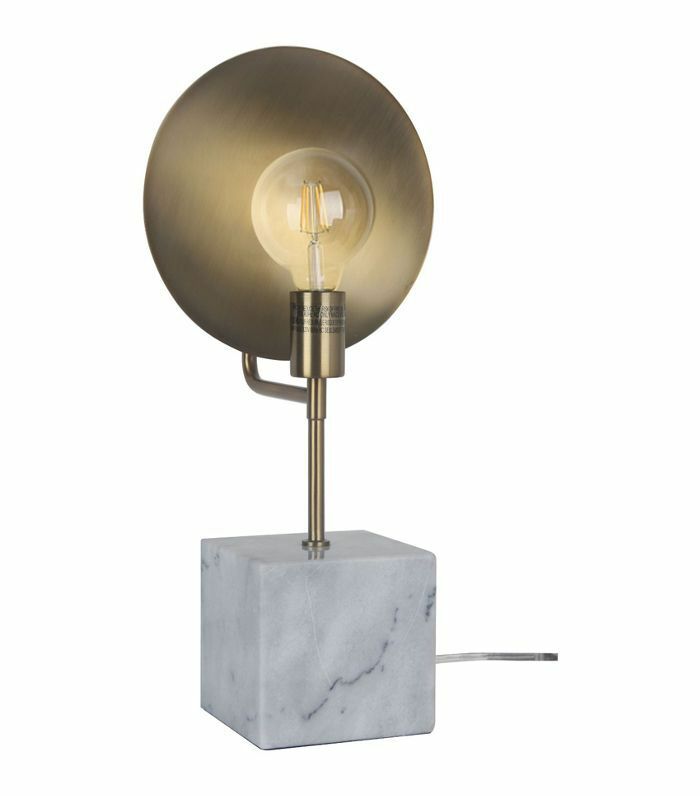 The combination of marble and brass make it the perfect modern update to any space. If there's one thing we all crave this time of year, it's comfort. 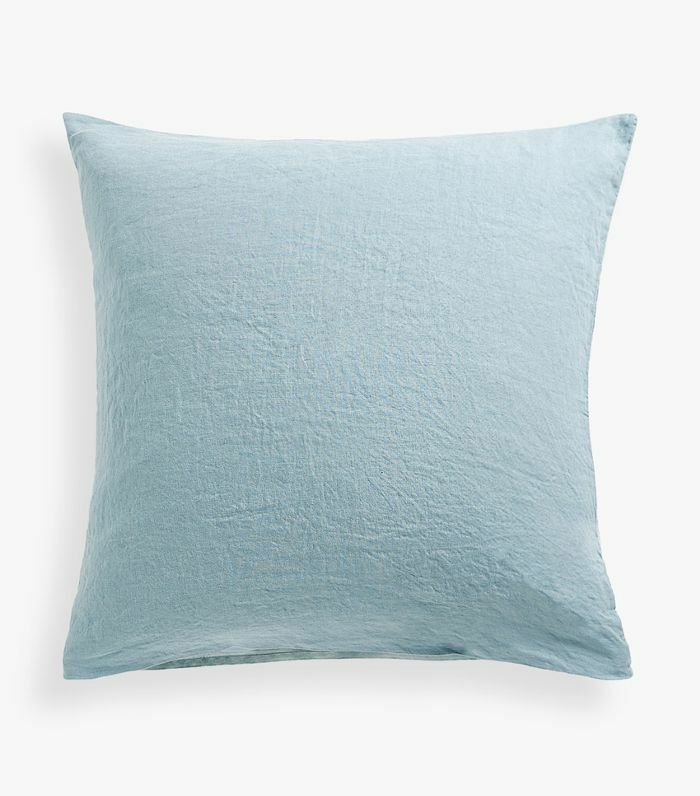 This throw pillow will really ramp up the coziness of any space. 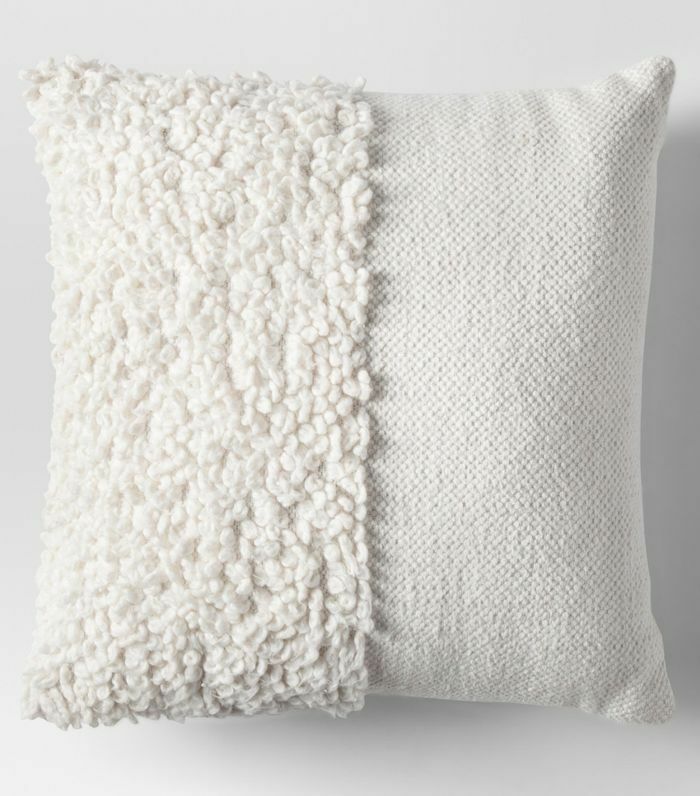 Layer it in with your pillows on the sofa, bed, or kids room. 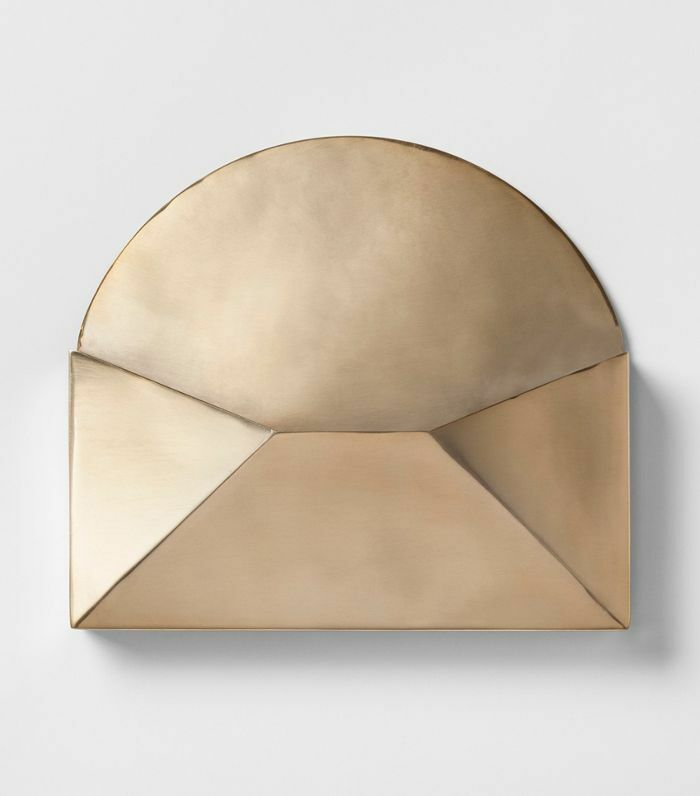 To save your countertop from clutter, put this decorative envelope on the wall by your front door and store your mail, papers, and other items. It is a guaranteed lifesaver and looks like decorative wall art. There's always room for another side table, right? 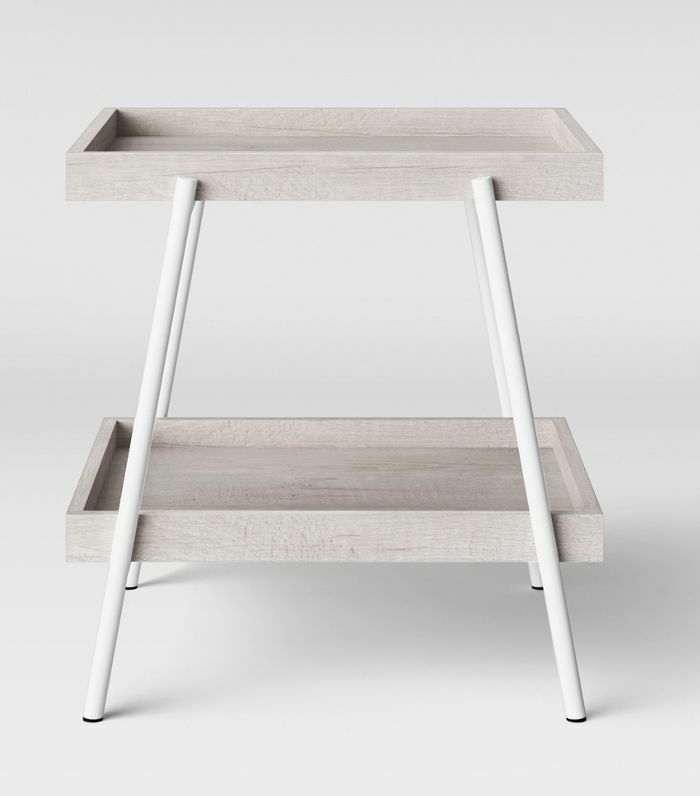 This one is a great neutral color to blend into any interior style and it has two shelves to arrange your papers in a home office or decorative objects in your bedroom. Win, win. The terra-cotta trend is also huge this season. 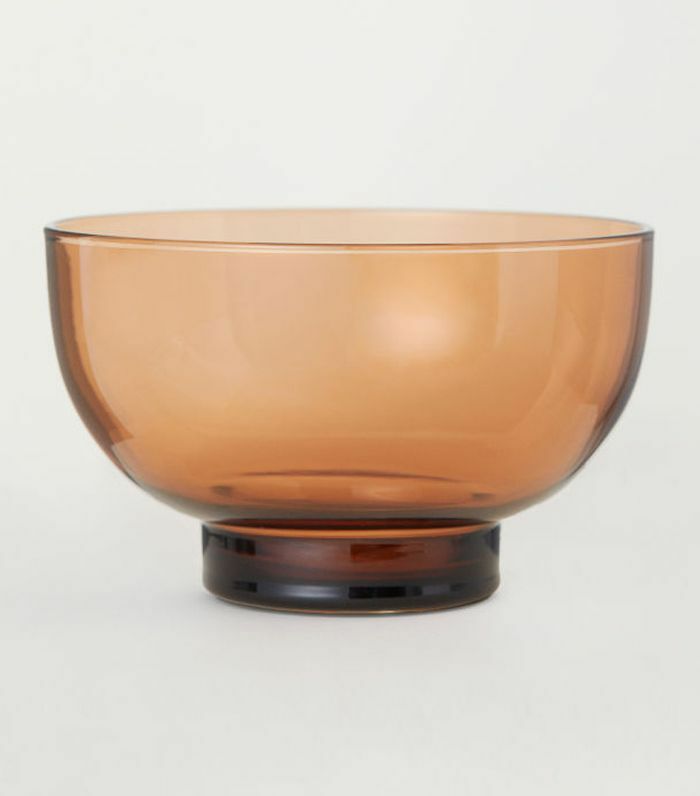 Dip your design toes in with this decorative bowl. 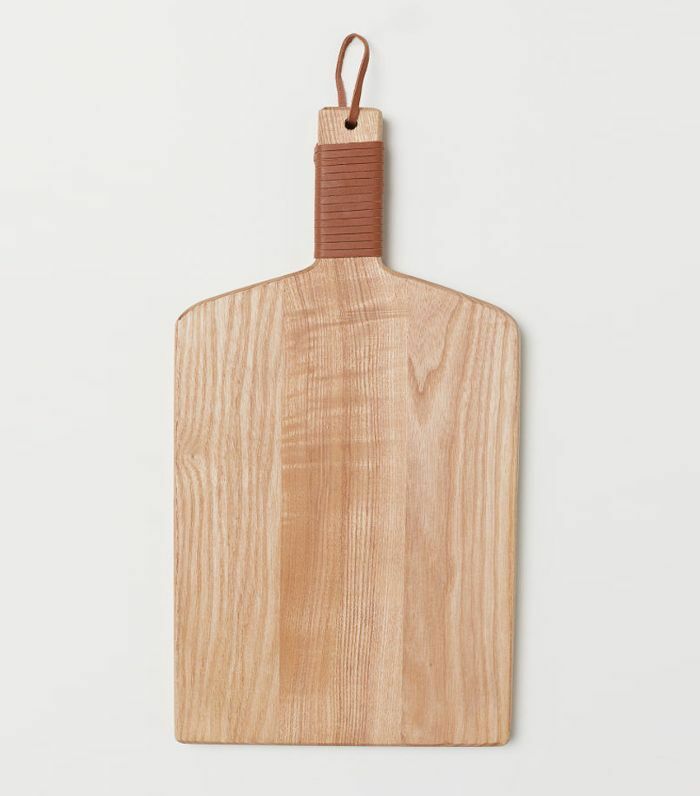 It's great for fresh fruit on the table or counter, or for serving warm salads for dinner. What did I say earlier about Project 62 and chic, affordable lighting? 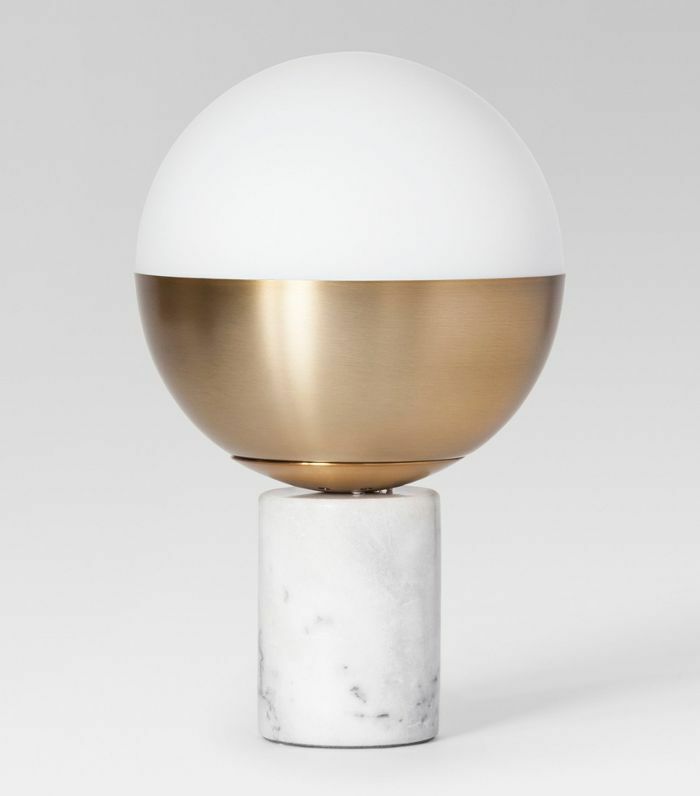 This is one of our favorites combining marble with brass and a circular bulb (another trend we noted above). While we love original artwork sometimes it's not always within our budget. 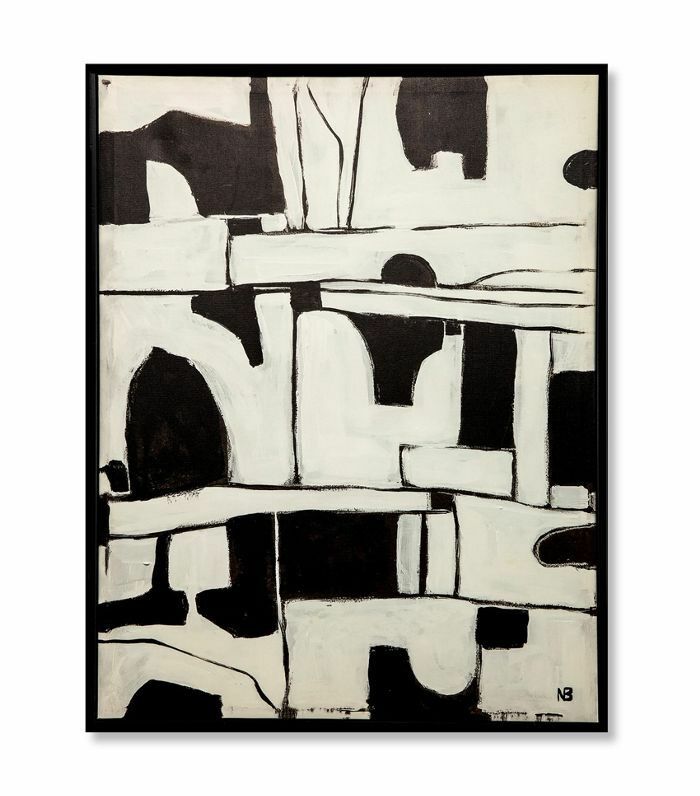 That's why we fell hard for this abstract piece, which gives you that cool vibe without the investment. You can never have too many vases. They're a great way to infuse modern trends without spending a ton. Plus different flower varieties each season calls for different vases to display them in. This would look great with fresh greens, roses, and pampas grass. 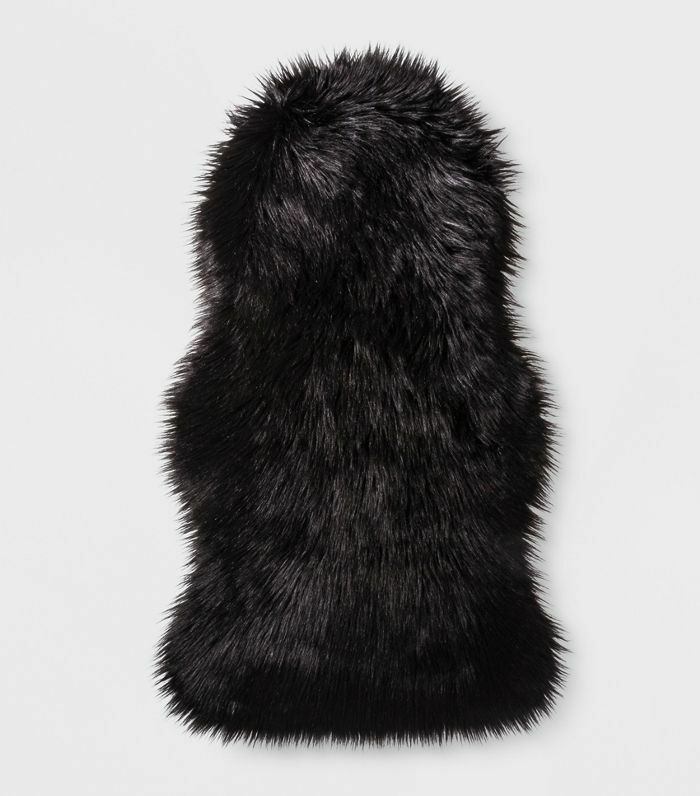 It's the perfect time to throw a faux fur pelt over a chair or sofa. 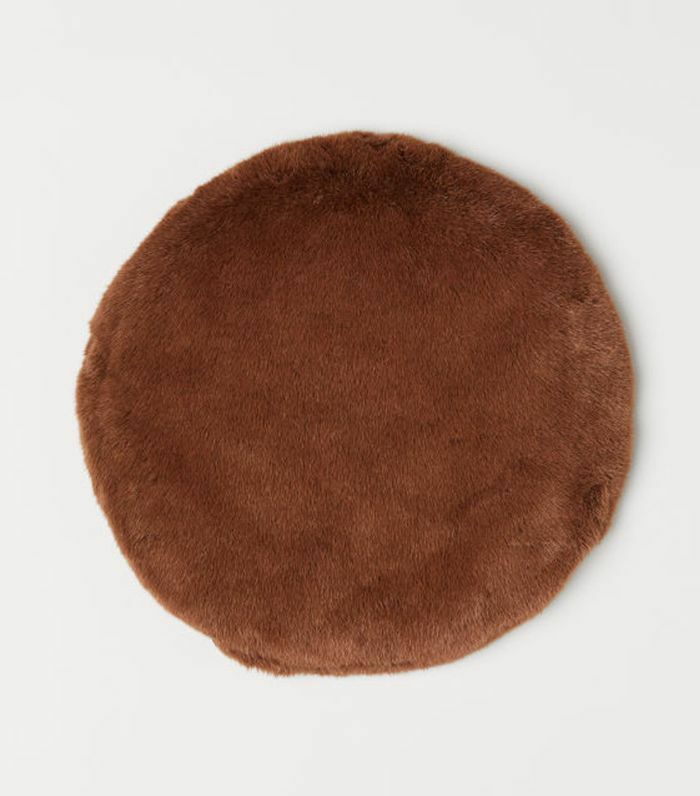 This one is incredibly well priced and will bring in that texture and coziness we all crave this time of year—it's the one cool décor piece every stylish girl needs. Most rental apartments don't come with floor mirrors, or if they do, they're not pretty. But we consider it an essential part of getting dressed every day. This one is an easy swap without denting the wallet too much. There is nothing quite like the quality and touch of linen. 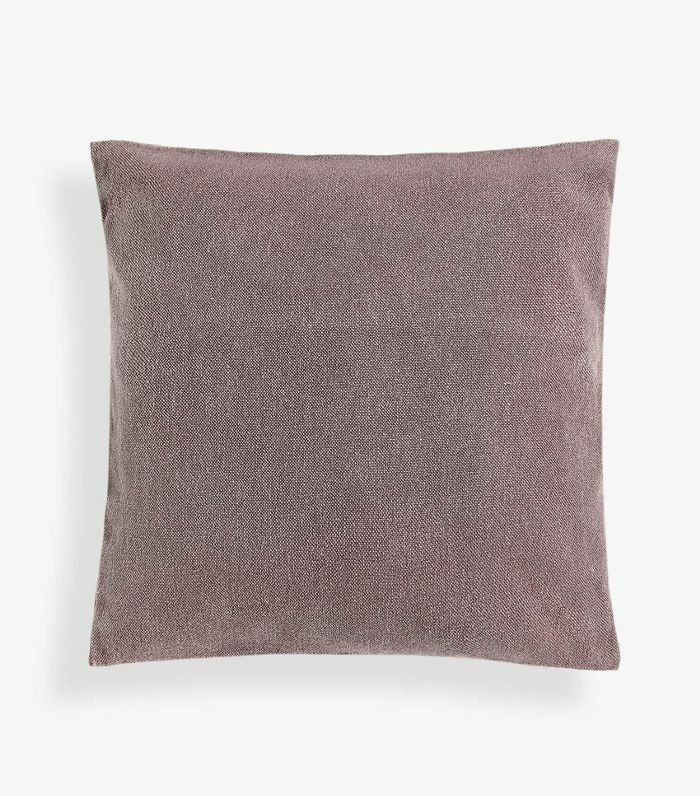 This simple washed throw pillow is a beautiful accent and really can bring a hint of color without going too far or disrupting the space. 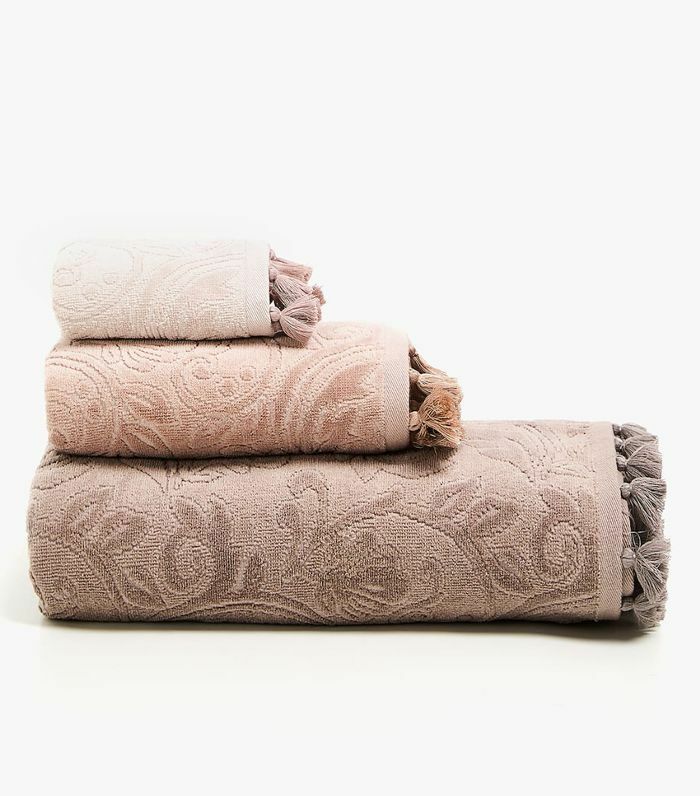 Towels are a home essential we don't always think of replacing often, but a new season calls for new ones. 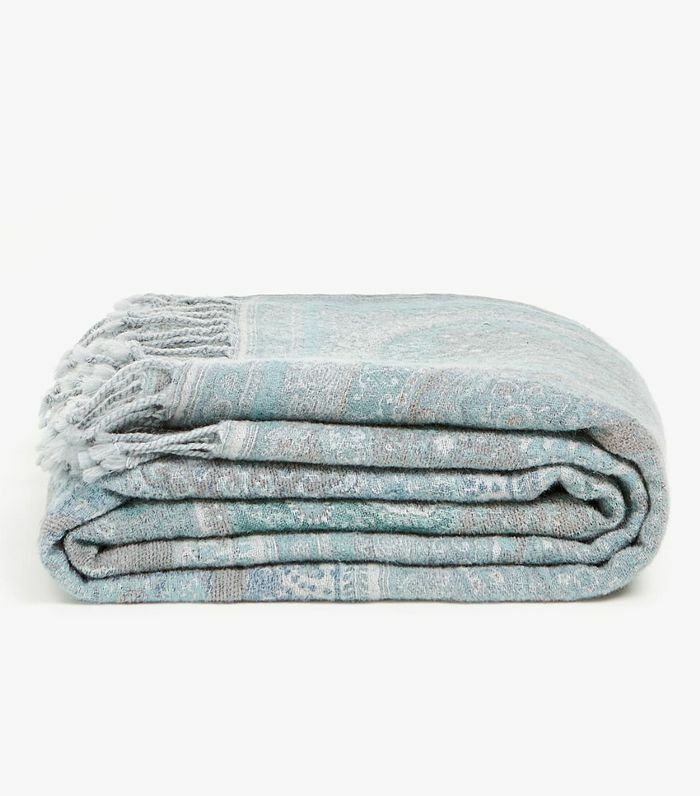 It's colder when we step out of the shower, so a fluffy towel to wrap yourself in is always a good investment. We love these because they're affordable, but they bring two seasons in one. They have a winter hue and a summer feel with those tassels on the end. 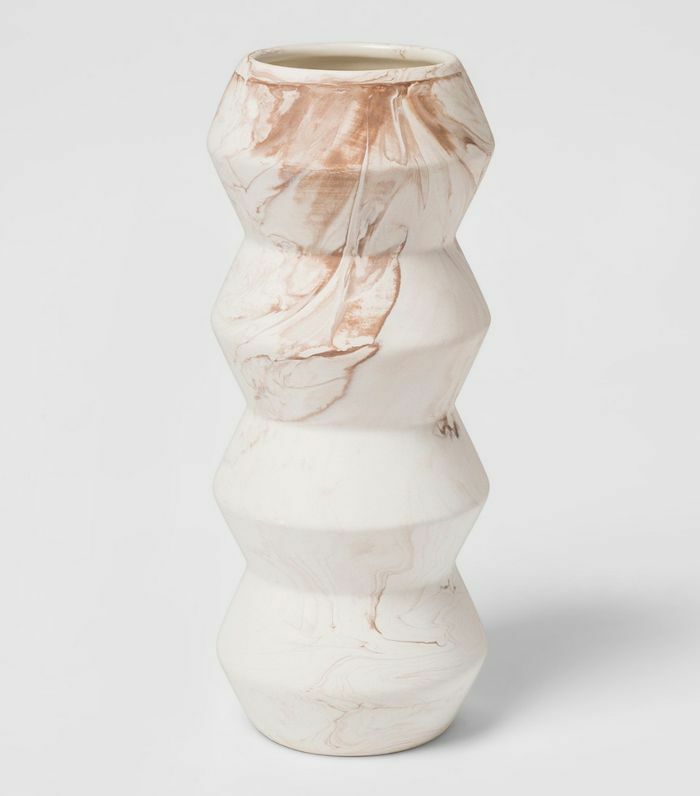 It's official: We will never tire of marble. 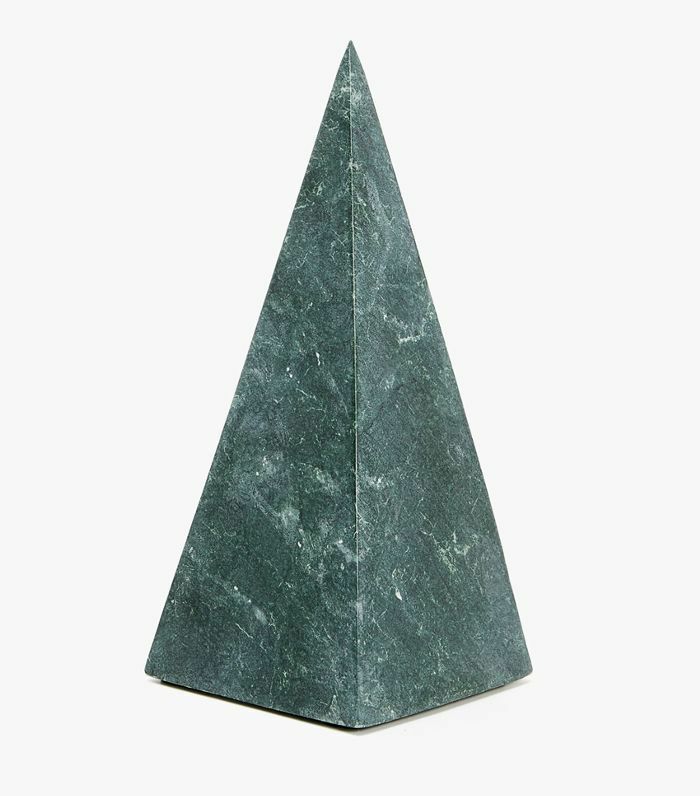 This green hue in a striking pyramid shape is a great way to diversify the color scheme in your home while adding visual interest. This combines two favorites in one. 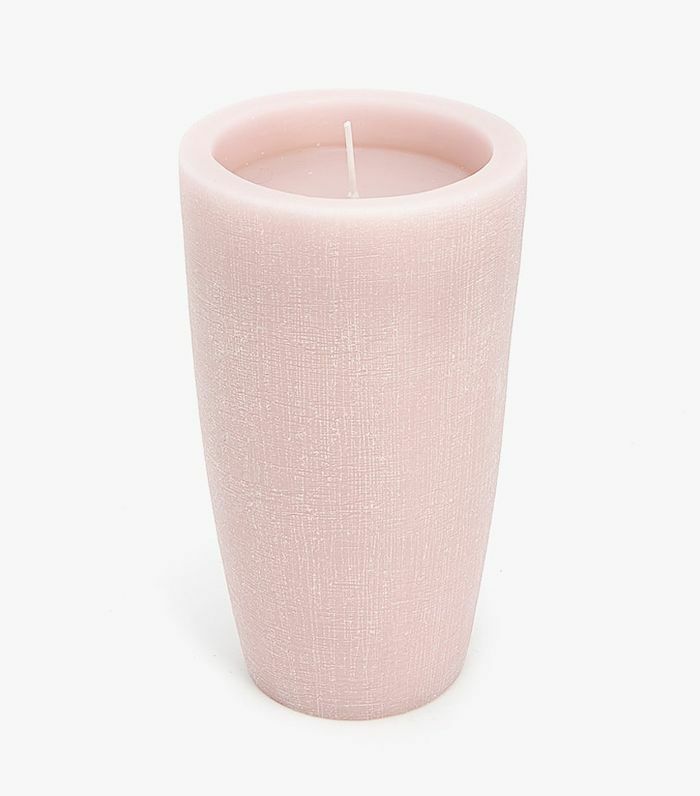 Candles in a soft pink hue. We also love the size of this one. 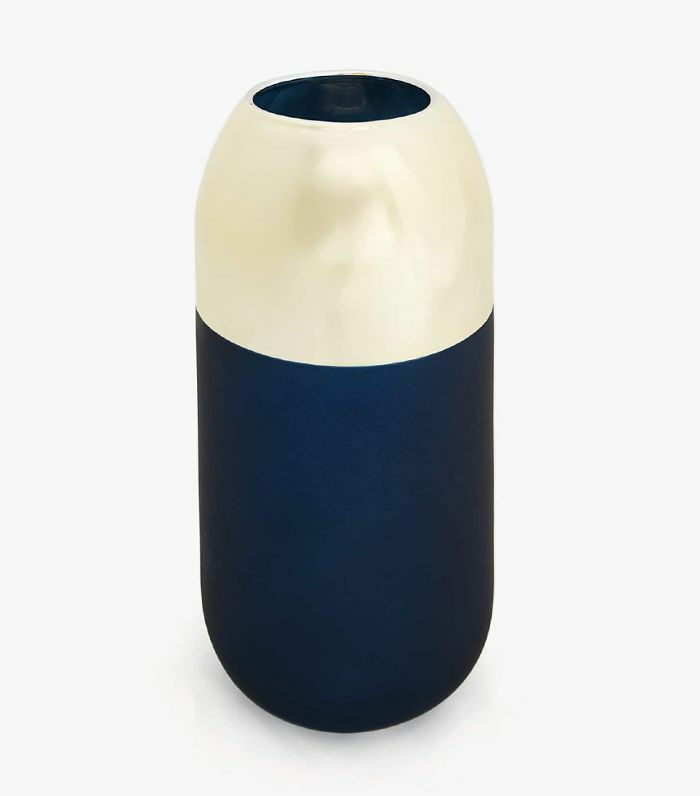 This striking vase brings the beauty of old-world hues with new-age shapes. The round pill-like shape is unique and sure to bring new life to your floral arrangements. 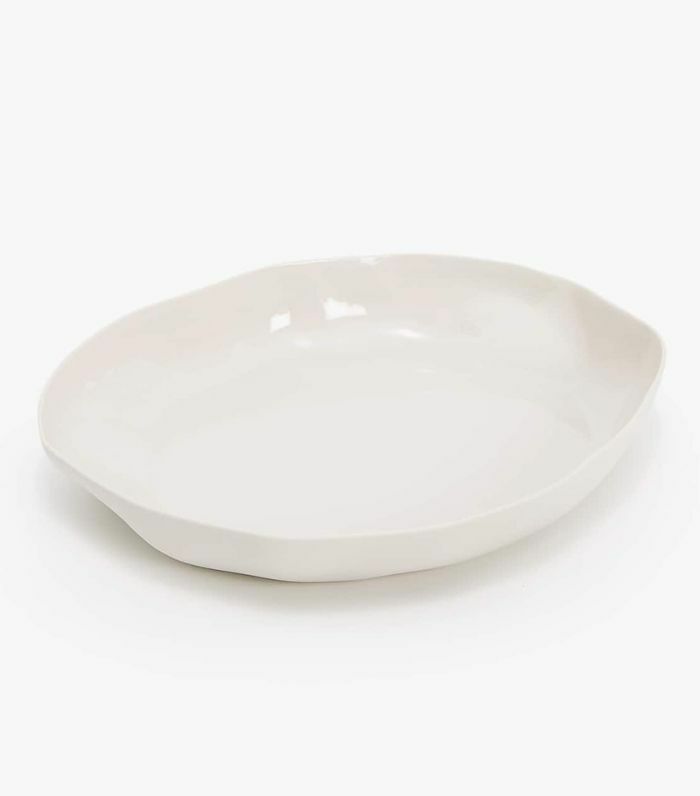 Pottery is a fashion-girl favorite for its organic shapes and handmade feel, so we're thrilled to see that entering the dinnerware category. 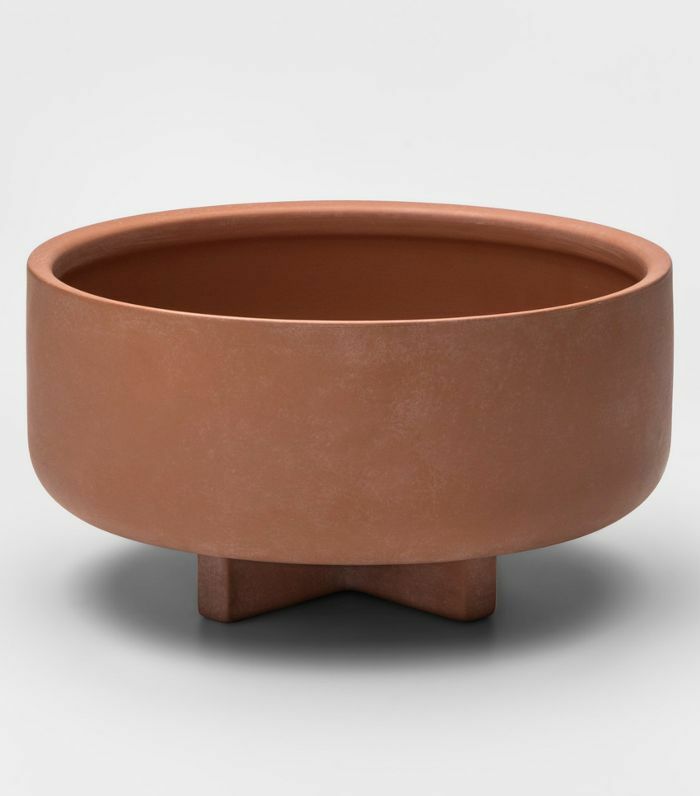 This irregular stoneware salad bowl is right up our stylish alley. 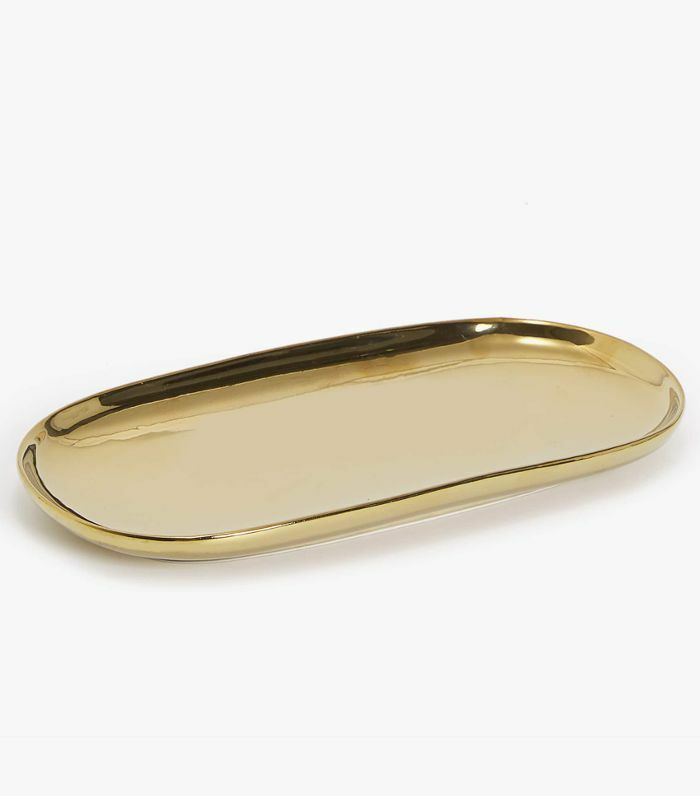 This looks like it could be a decorative tray but in fact, it's a serving dish. So chic and just in time for dinner party season. This muted pastel purple has fall written all over it. It's subtle enough to blend in with any decor style yet it will still pop and bring in a new-season hue to your home too. As we mentioned earlier, linen will always be a favorite fabric for its tactile and organic feel. 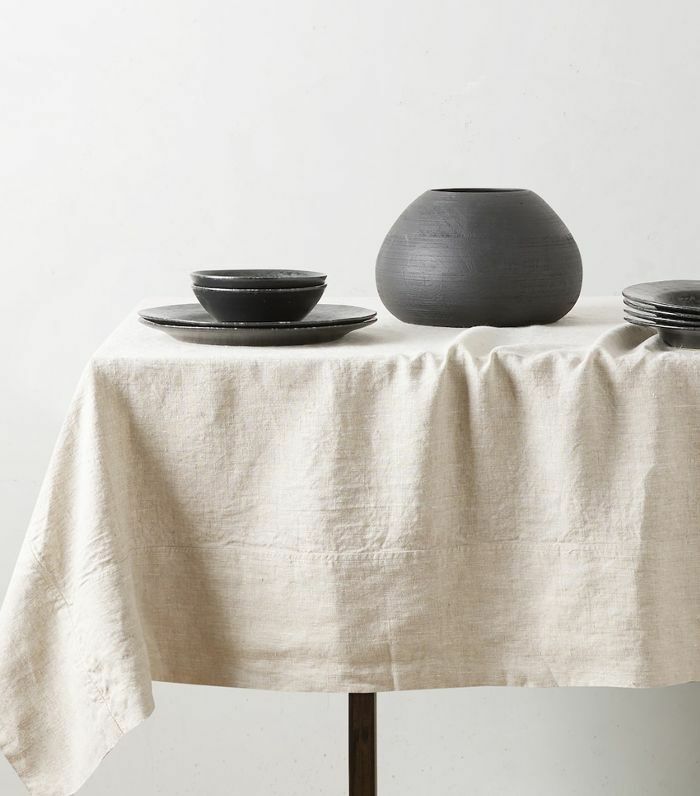 This washed tablecloth brings texture to the table, and we can just imagine how good those fall recipes will look on top of it. 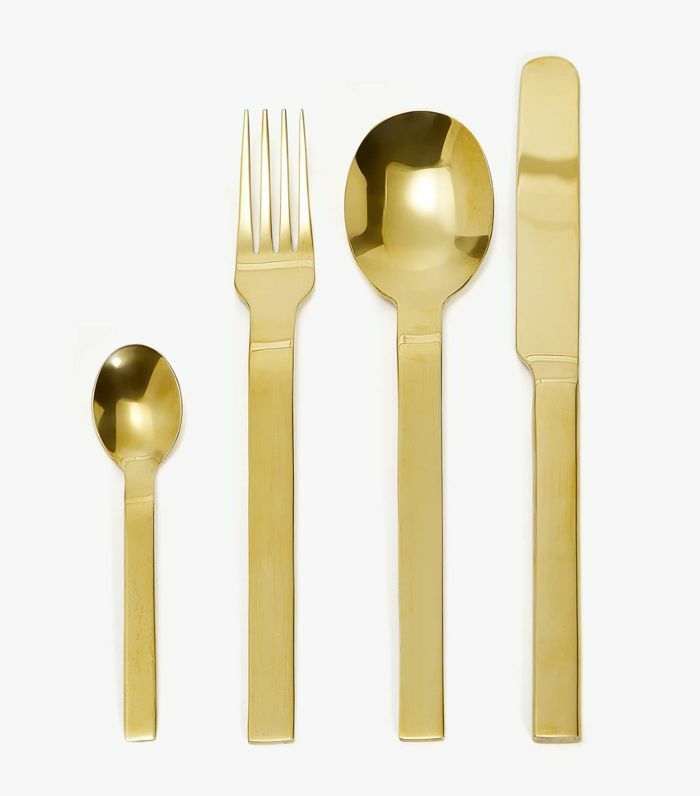 Make entertaining fun with this gold steel flatware. It's perfectly timed with the holiday season. As the chill sets in and we get ready for nights streaming our favorite movies, it's time to think about wrapping up in a cozy blanket. This has a subtle paisley print, which we love. It also doubles as a throw over the sofa or end of your bed. It's hard to know what to do with your magazine or book if you can't read it all in one sitting. 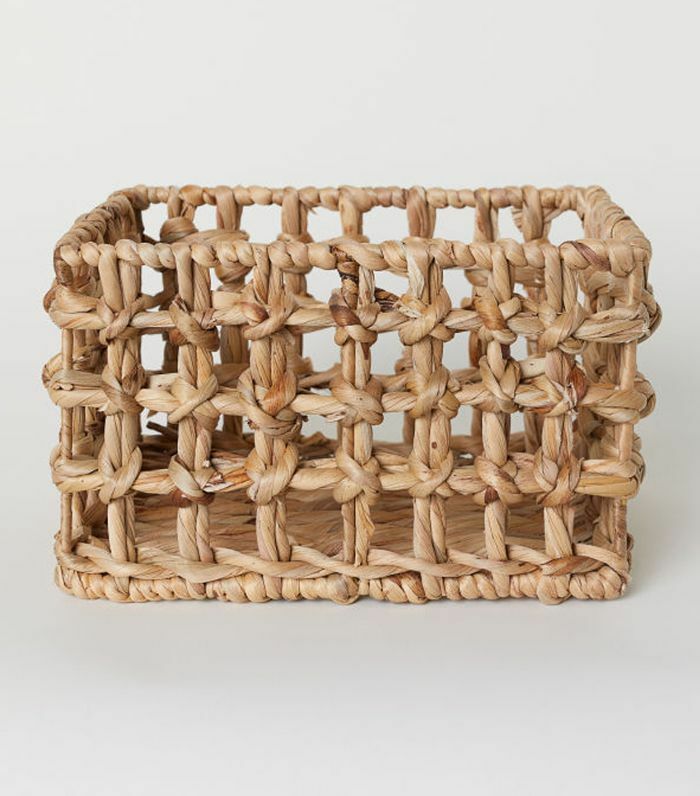 This stylish rattan rack gives you a place to put them until you find time to pick up where you left off. 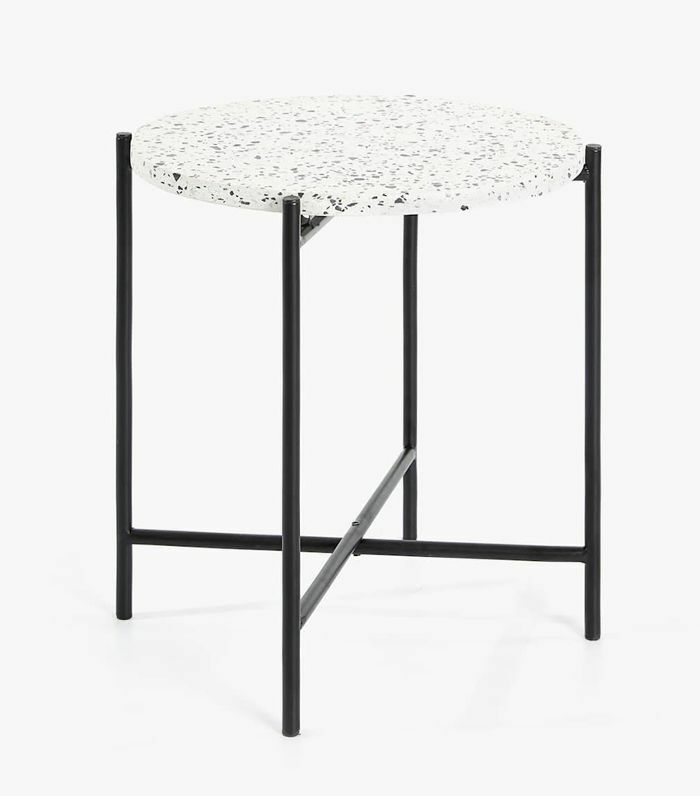 Now that we've covered all the cool decorative pieces, here's a stylish side table to put them on—and it also happens to be totally on trend.